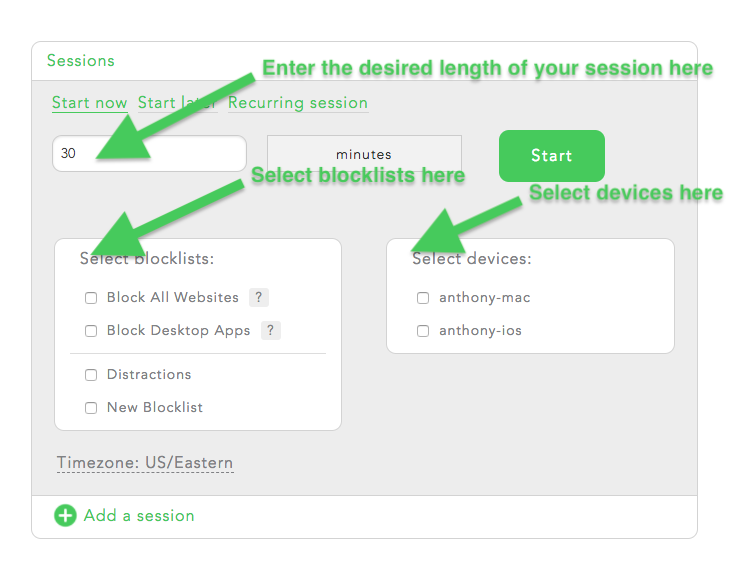 This article provides in-depth instructions for how to start a Freedom block from your Freedom Dashboard. Alright! Let's start a Freedom block. Before you do so, you'll want to be sure you've signed in to your Freedom clients on your desktop or mobile devices. First, open up your Freedom Dashboard. 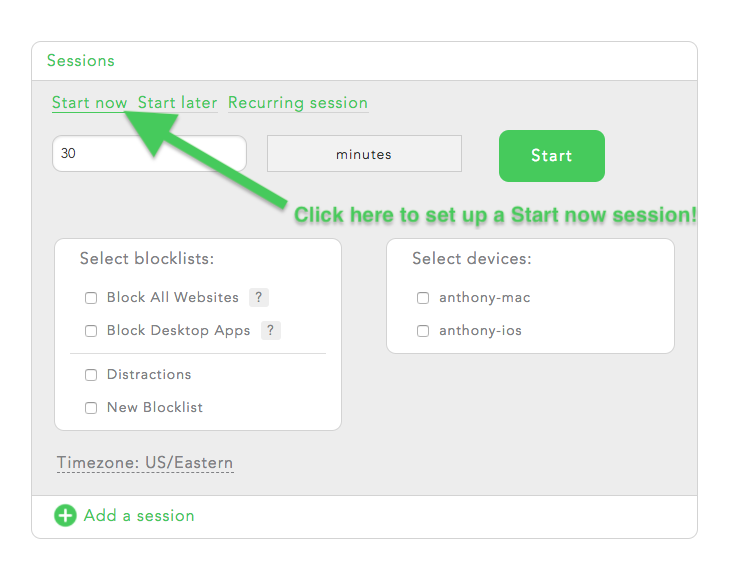 You may start a block immediately by clicking on 'Start Now'. 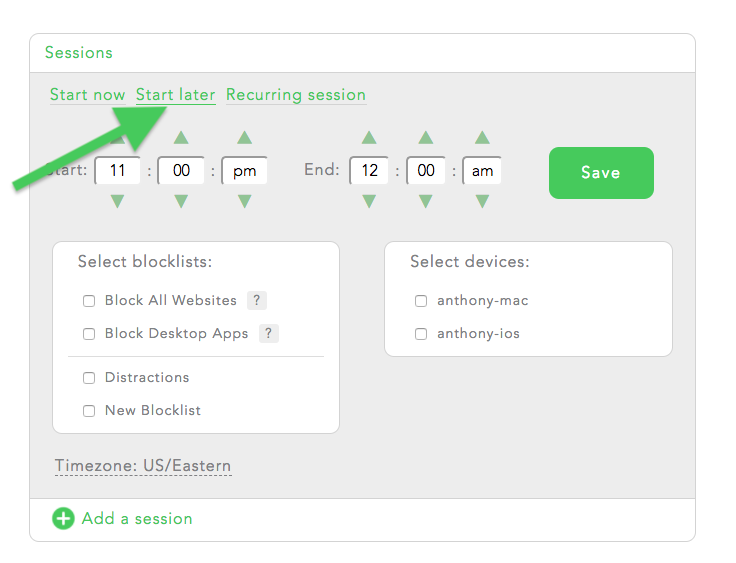 Input the amount of time you would like to block for (in minutes), then select the block list you would like to use and the device(s) for the block and click 'start'. Be sure that you set your block list how you want it prior to clicking 'start' as you will be unable to edit it once the block begins. When you're all done, press Start!